If sport is your passion, then Cardiff is an ideal city for a house sitting job. 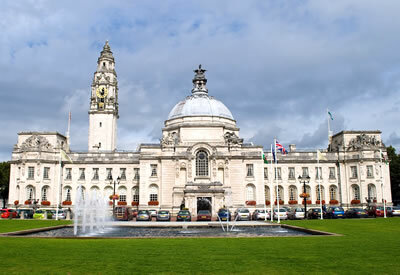 The capital of Wales, Cardiff is also the chief commercial area, center of Welsh national media, the seat of the National Assembly and home of the country's major cultural and sporting bodies. Diggings in the vicinity of Cardiff indicate that Neolithic people had settled in the area 1,500 years before Stonehenge or the Great Pyramid of Giza were made. Made a city in 1905 and declared the capital of Wales in 1955, this city of almost 350,000 people is now the 10th largest city in the United Kingdom. Inner Cardiff on the north and east of the city's center has some of the poorest sections found in the south of the Southern Arc road. On the other hand, some wards to the north of the Arc are popular with students and young professionals. Roath Park is an upscale area populated by retirees and those with older children and may provide interesting opportunities for house sitting jobs. An even more attractive area for house sitting lies in the west which has some affluent privately-built housing estates at Michaelston Super Ely and Culverhouse Cross. Spanning an arc from the northwest to the northeast of the city center, you can find some of the most expensive housing in Wales in Cyncoed, Radyr and Lisvane. 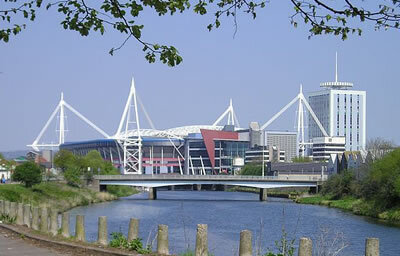 One of the most popular destinations for tourists to the UK, Cardiff had almost 20 million visitors in 2010 so that 20% of the work force is employed in the hospitality and tourism-related industries. Cardiff boasts many tourist attractions such as castles, museums, cathedrals, and stadiums, giving rise to the claim that Cardiff has a larger concentration of castles than any other city in the world. Castles are among the most popular tourist attractions in Cardiff. 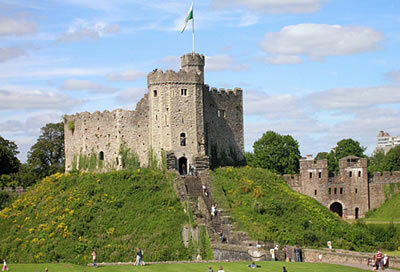 Cardiff Castle, located in the city center, is a major tourist attraction. Castell Coch, or Red Castle, which lies in the north of the city is elaborately decorated in the Victorian style and is in great demand as a location for film and television productions. Other castles in Cardiff are Twmpth Castle, of which only the remains are present, the Llandaff Bishop's Palace and Saint Fagans Castle. It is for sporting events, though, that Cardiff stands out. In 2009, it was named European City of Sport because of the number of sporting events which the city hosted. It is scheduled to be named European City of Sport once again in 2014. Among the major sporting venues are the Millennium Stadium (home of both the Wales National Rugby Union team and the Wales National Football team), SWALEC Stadium, Cardiff City Stadium, Cardiff International Sports Stadium, and Cardiff Arms Park (home of the Cardiff Rugby Club). In addition, Cardiff is also the headquarters of the Wales Rally GB, the largest motor rally in the UK. In the 2012 Summer Olympics, the Millennium Stadium is slated to host 11 football matches among which are the opening event of the Games and the match for the men's bronze medal. To heat up your sporting blood, there are very few places anywhere in the world more ideal for house sitting than Cardiff.